For all pasta lovers. 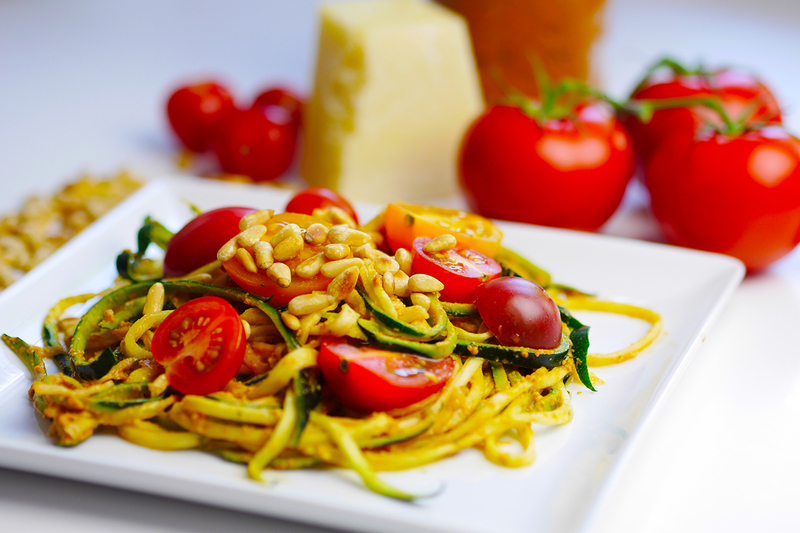 Courgetti pasta is a great low-carb, naturally gluten-free alternative to conventional wheat pasta. The courgette is turned into ‘spaghetti’ using a vegetable spiralizer. Related to the cucumber and melon family, the courgette is known for its detoxifying properties and can help regulating blood sugar levels. Especially its skin is full of important nutrients.